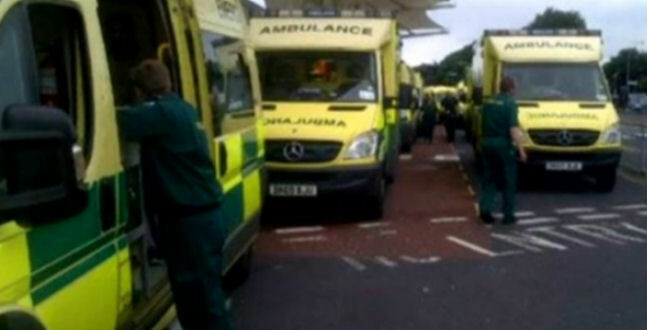 A local Hospital Trust have been told to get their deficits under control or face bankruptcy. 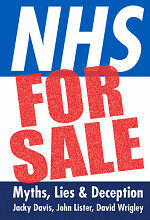 Lancashire Teaching Hospitals (LTH) NHS foundation trust still have a deficit¹ of £10.8million. They blame temporary changes to emergency services at Chorley & South Ribble Hospital for driving all of the deficit including both the income and expenditure. The deficit as a result of the Chorley A&E closure was reported as £1.7million which has resulted in the trust being refused £3.3 million from the sustainability and transformation fund (STF) from NHS England. The LTH Trust have applied to the Department of Health for a loan of £15.3million of which £13.1million would support the revenue deficit² and £2.2million would support capital expenditure. Before becoming a foundation trust the Dept of Health were obliged to help out a trust without resorting to the trust asking for a loan. So the real tragedy of being a foundation trust has now hit home and LTH are having to 'borrow' more money to cover the loss of the A&E tariff due to the temporary closure (a tariff is a fixed amount of money the trust gets per patient with the amount depending on the procedure, more high-risk/complex procedures demand more money). 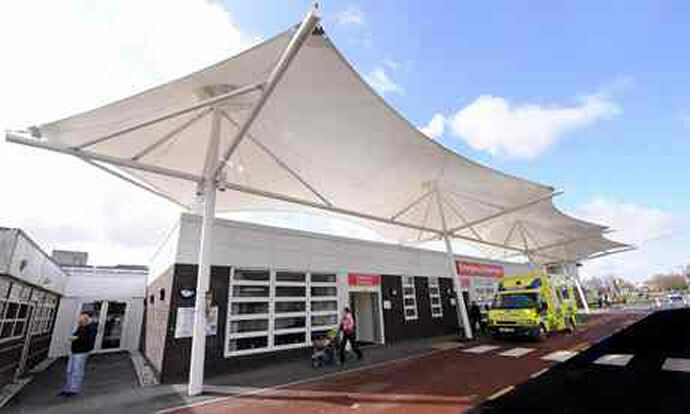 The Trust have indicated to the health regulator NHS Improvement (formerly Monitor) that a further revenue loan may be required to offset the costs associated with the temporary closure of the Chorley emergency department and any resultant effect to the sustainability and transformation fund (STF). The above is worrying. the cost of closing Chorley A&E is £1.7m plus the £3.3m loss of the STF results in potentially borrowing another £5m. If LTH can't make up the shortfall in the meantime, they don't get the STF funding. Yet if they don't get the STF money they might just 'have' to continue to borrow more placing their part-time re-opening of Chorley A&E at risk. The Finance Director added that there would be further impact on the Trust’s financial position following introduction of the urgent care centre (UCC) service in November 2016. Now we have a REAL problem. 'further impact on finances' means the deficit is likely to go up and not down. WHY on EARTH have the trust not undertaken a financial risk assessment when their bid for the UCCs failed? There's no excuse since they were already managing the UCC's so the problem must be down to the something else? The trust are asking the new UCC service provider GTD Healthcare* if they may have access to recorded activity [from UCC activities] to include within trust performance data. This seems strange since the trust seem to be claiming credit for operations undertaken by a separate organisation (GTD Health who will be running the UCC from Jan 2017). The LTH trust board again confirmed that demand and ambulance transfers had increased since the closure of C&SRH A&E. Indicating the problem still exists. Due to changes in the Health & Social Care Act 2012, Clinical Commissioning Groups (CCGs) are now under no obligation to provide healthcare services to people who are not registered with a GP practice. This means that patients presenting at hospital could be turned away and redirected to a doctor instead. 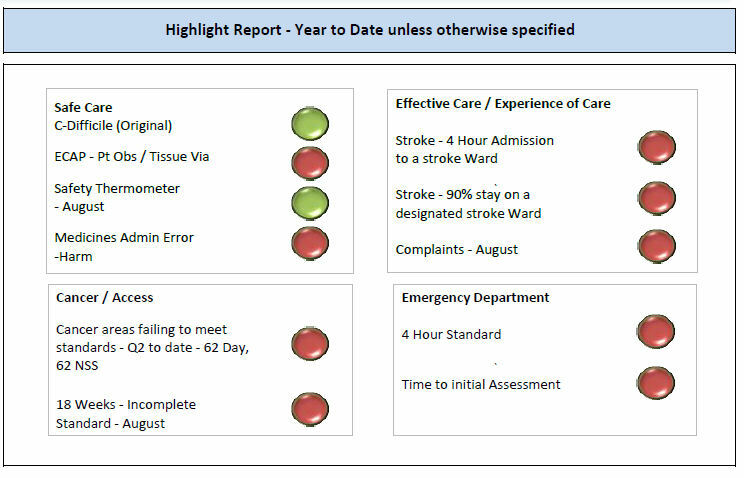 The Lancashire Hospital Trusts medical director Mark Pugh seems to emphasise this in the board report topic on 'A&E improvement programme'..
"The Medical Director noted that data was also available to show changes in behaviours, for example patients not registered with GPs who would need to be diverted to GPs for appropriate advice". It had been confirmed that the urgent care centre service may not mobilise from November 2016 and it may take until January 2017 to introduce the service. There are already communications problems between the GoToDoc healthcare Ltd and the trust. It was explained that the Trust had been asked whether the urgent care centre service could be covered by GPs working with the Trust at the moment to bridge the gap. A copy of an email had been received from the CCGs which asked GoToDoc to contact the Trust although this had not yet happened. The Company Secretary was currently working on the accommodation contract as the Trust would be acting as landlord for the urgent care centre facility and it was noted that no Trust staff would TUPE to GoToDoc and would remain as Trust employees. Mr M Welsh commented that GoToDoc might attempt to recruit existing Trust staff which would increase the staffing deficit within the Trust’s urgent/emergency services. It was agreed that this should be included on the risk register. "this week the Trust had lost two doctors to a Trust in Derby owing to a more attractive night-time rota and attempts were currently being made by the Trust [LTH] to secure three more doctors". "A slide presentation had also been circulated which provided an outline of a visit that had been undertaken to Calderdale and Huddersfield NHS Foundation Trust to discuss their [STP] programme which was similar in content to the Our Health Our Care programme". A patient safety risk had been introduced as the Preston Primary Care Centre group were not prepared to support out-of-hours cover at Chorley and the Chorley Medics had relocated from the Chorley and South Ribble Hospital site [to Euxton]. Risks highlighted through loss of income and financial consequences in relation to the urgent care centre service. The trusts October board report states that 78 out of 90 beds had been introduced following the CQC inspection in July 2014 but have now been decommissioned. Ironically, the Lancashire Trust now claim there is not enough capacity in acute services which is impacting directly on the delivery of key access targets. STP related contracts have been brought forward and must be signed by 23rd of December 2016 indicating accelerated plans for privatisation before public consultation periods end. NHS England are basically holding hospital trusts to ransom if the trusts don't meet financial targets by fixed dates. This will inevitably result in trusts cutting corners resulting in poor quality patient care. LTH Trust are rated RED in 6 out of 8 of the required NHS England standards potentially involving NHSI intervening. The trust could go bankrupt or be taken over by another provider. GTD Healthcare Limited refer patients to clinics and surgeries operated by GTD Primary Care Limited. GTD Primary Care Ltd are registered on company house as a 'for-profit' company. ²revenue deficit is where the net amount received by a company in revenue (income) is less than the net amount projected (expenses). TUPE is the Transfer of Undertakings (Protection of Employment) Regulations, 2006, and its purpose is to preserve staff contractual terms and conditions of service, following their transfer from one organisation to another. Local GPs sitting on controversial 'clinical commissioning groups' have betrayed their patients by voting unanimously to close the Huddersfield Royal Infirmary. So what can we learn from this fiasco? The proposed closure of Huddersfield Royal Infirmary (HRI) has brought home just how important it is we now concentrate on NHS England's 'STP' plans to introduce a U.S. style private healthcare insurance system in England. On Thursday this week the joint Huddersfield and Calderdale CCGs unanimously approved plans to close HRI A&E followed by demolishing HRI altogether and building another hospital (with NO A&E) on an adjacent site. 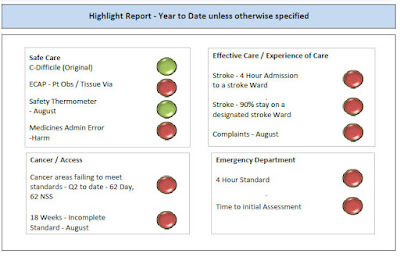 All this was done under the local STP plan titled 'Right Time Right Care Right Place'. The consultation was a sham, with the CCGs basically ignoring 19 recommemendations put to them by the council Health scrutiny committee. The disgrace continued when a survey revealed 67% of those consulted didn't agree with the plans. Yet the GPs on both CCGs historically voted to remove vital local life-saving emergency services for their patients. It's not comforting either when the Preston MP claimed these type of reconfigurations were 'pie in the sky'. I recall this sort of talk before from parliamentarians and with bluff called the exact happened with said MPs claiming to be astonished with the decisions. I don't trust em. There seems to be more and more opposition to CCGs wielding so much power over such crucial NHS services, and rightly so. There was always bound to be many conflicts of interest with GPs on these CCGs awarding themselves contracts with other interests going 'undeclared'. Relationships between Doctor and patient have certainly soured since the advent of CCGs. "For some [GPs], to be blunt, the blatant systemic conflict of interest in providing services that they would themselves commission was embraced as an opportunity for personal enrichment. Greed was the spur. They were in a minority but they had disproportionate influence because they were pro-market and pro-GP commissioning and so had the government’s ear". "It would be interesting to know how much gold had been promised to stuff in the insatiable mouths of certain doctors. The rewards would come quickly. A survey in Pulse – the GPs’ magazine – reported that by December 2012 over one-fifth of board members on clinical commissioning groups had financial interests in private health care providers; the BMJ put the number at more than one-third in March 2013.6 Things are looking good for Dr Fat Cat". Above two paragraphs kindly reproduced from the book NHS SOS by Tallis, published 2013. Back over at HRI, the plan to remove A&E from hospital surroundings is part of the 5 year forward view. The Private healthcare sector's primary objective is to separate out the more lucrative high turnover, low-risk unplanned services from hospitals. These will then be consolidated into smaller clinics called 'Multi-Speciality Provider' clinics (MSPs) as per the American Health Maintenance Organisation (HMO) model. These clinics have been trialed over here in England a while back and were named Darzi clinics or Polyclinics etc. They were in effect 12% more expensive per patient, ideal money spinners for the private sector but a great loss for NHS tariffs. *A previous Netcare contract for these clinics showed 39% of patients, for whatever reason, didn't receive treatment, yet NetCare collected £35m for work never undertaken. The demolition of HRI also satisifes the STP criteria for releasing estate and introducing personal health budgets for chronic conditions via the MSPs. Most CCGs are guided by committee officers who, ironically, are also allowed to vote on the NHS England policies they are recommending! Many of these 'officers' are even ex employees of private health policy advisory consultancy firms such as KPMG, McKinsey or think-tanks such as the King's fund. No wonder HRI campaigners are angry, we have all well and truly been stitched up by those we thought we could trust, our GPs. It seems the involvement of GPs on CCGs has been mostly limited to a group of willing ‘reformers’, many with an eye to potential personal gain and increased local influence available under the new scheme. Over at Chorley & South Ribble CCG, the basic pay for the Chairperson is £120,000 p.a. A disgraceful amount considering the same position on the previous Primary Care Trusts was £15,000 p.a. CCGs report to, and are manipulated by a body calling itself 'NHS England'. It's CEO 'Simon Stevens' is ex vice president of U.S. based 'UnitedHealth', the largest private healthcare insurer in the world. It doesn't take a genius to figure out that CCGs are therefore implementing the U.S. privatisation model throughout the NHS in England. So what can be done to stop the onslaught against our NHS under these STP plans? The 44 regions in England, inaptly titled 'footprints' by Steven's mob are all ear-marked for privatisation. And the consultation for most footprints hasn't even begun yet. But stop it we must. And as Hands Off HRI campaigners have now said, the gloves are off, the fight is not over. 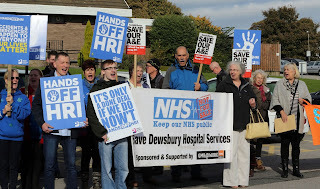 Chorley & South Ribble campaigners are fully behind the Hands off HRI campaigners as we're all aware whats happening affects not just Calderdale or Huddersfield but the whole of England. In 1926 when I was a small lad, my sister Marion contracted TB and died in a workhouse Infirmary because my dad, who had worked as a miner since the age of 12, was too poor to provide medical care for his daughter on a working-class salary. Tragically during my childhood in the early 20th century thousands met their end like Marion. I can even remember as a boy hearing the piercing cries from open windows on our street of people dying from cancer who didn't have the dosh to buy morphine to ease their passage from life. To this day, I am haunted by the inhumane manner in which my sister's illness was treated or how the Society of my youth believed that only the well-to-do or well-connected deserved medical care. That is why after the brutality of the Second World War my generation of ordinary People demanded that our nation create the NHS. We knew it was our only hope of making life better for ourselves, our parents and our children. The people of my generation sacrificed so much during the Great Depression and through the Second World War and the NHS became a peacetime dividend. The creation of the NHS was also our solemn pledge to future generations that we would be a civilised nation that would treat all citizens as worthy of care and compassion. The NHS is for me as great as Magna Carta because it's freed millions from the tyranny of sickness and poverty to move forward and lead productive lives. We must remember that the NHS is as essential to our Nations well-being as the Armed Forces are to protect us from foreign threats. It is why today we ordinary citizens must be vigilant against governments and corporate interests that seek to dilute the NHS's ability to deliver health care to all its citizens through privatisation. I am one of the last remaining people that can remember the cruelty of life before the NHS, and I can assure you that it is essential for Britain's prosperity and social well-being that my past doesn't become your future. The above is kindly reproduced from the FOREWARD by Harry Smith from the book: NHS for Sale: Myths, Lies & deception by Jacky Davis, John Lister. The above text was not typed but translated from a speech to text translator called Speechnotes (free online use - best used with Chrome browser). 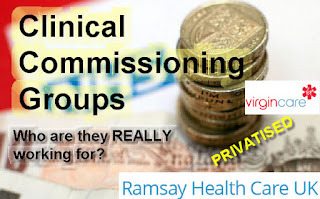 Are Clinical Commissioning Groups Awarding themselves contracts? Chorley and South Ribble Clinical Commissioning Group have seemingly failed to declare conflicts of interest and awarded themselves contracts. (1) The GP OOH services are currently delivered in Preston by Preston Primary Care Centre Ltd (PPCC) from their base located on the Royal Preston Hospital (RPH) adjacent to the Emergency Department (ED). (2) OOH services are also provided in Chorley via Chorley Medics Ltd (CML) from their standalone OOH base at Euxton. The contract below has been jointly procured with NHS Greater Preston CCG. Each time a GP refers an Adult to physiotherapy, Chorley Medics Ltd are paid for the session + any other expenses. The referrer doesn't even have to work for Chorley Medics Ltd, they don't even need to be a GP to direct funds to Chorley Medics. The part-time chairpersons annual CCG salary alone would pay for a blood pressure monitor in every single GP surgery waiting room in Chorley and Preston. Greater Preston CCG chair collected the highest remuneration for sitting on the part-time CCG committee. A whopping £305,000 including pension benefits remuneration. Chorley & South Ribble (C&SR) Clinical Commissioning Group have wasted no time in privatising local NHS services. As soon as the CCG was formed in 2014, they sold off musculoskeletal (MSK) services to Virgin Care on a £6.9m contract then proceeded to sell off Elective service contracts to the private company Ramsay Healthcare. Since its advent, little is known about CCGs and how they consult other GPs in their area on service contracts. There's certainly no consultation with the public about how they feel on which services should remain in the NHS or otherwise. A CCG cannot even claim to have any popular mandate or support, since CCGs were set up without any public consultation or involvement. The process makes a transparent nonsense of the Tories assurance of ‘no decision to be taken about me, without me’. For the most part, GPs recognised that if they were forced into the role of commissioners, they would have to take the blame for imposing cutbacks and the rationing of care to their own patients, which were integral elements of the reform package. Clearly this has created a fractious relationship between GPs and their patients. Some also recognised that GPs would have little day-to-day control over running their local CCG. As clinicians with a caseload of patients, most GPs lack the time, energy and inclination to take on a major strategic management job involving a nine-figure budget, or for planning services in much wider areas than their own practice. So how can any GP sat as a CCG chair justify collecting £155,000 per year of tax-payers money? It's quite clear that those GPs who jumped on the CCG gravy train are in it for financial gain and to forward the agenda of their paymasters, that of privatisation of NHS services. Finally, we must remember that the local CCGs have just sold-off a £35m contract for Urgent Care Centre and associated services that they themselves will likely be employed to use. I was shocked to see the Health & Social Care bill make its way into an Act of parliament, thus paving the way for privatising NHS services to 'any qualified provider'. Which political party do you trust to save our NHS? or is it too late to be saved? Lord Patrick Carter, a Labour peer, is advising Tory Health Secretary Jeremy Hunt on how hospital budgets can be better spent. Carter (Baron Carter of Coles) co-founded private nursing home company Westminster Health Care in 1985 with Martin Bradford. And now, he's just suggested that bed-blocking in NHS hospitals could be solved by sending patients awaiting discharge to,,,, you guessed it,,,,, private nursing homes. In an attempt to recoup losses in the NHS brought about by his previous leader, the warmongering, NHS privatising 'Tony Blair'; Lord Carter has joined forces with NHS England boss Simon Stevens, a former Labour Councillor for Brixton, in advising Hunt on how to privatise the NHS. Ironically, Stevens who also advised Tony Blair on health policy, also advised New Labour on how to get the private sector more involved in the NHS. He supported Andrew Lansley’s NHS reforms which led to the Health & Social Care Act 2012 passing through parliament resulting in opening up the NHS to private companies, formulation of CCGs, and the STP plans we are seeing now across England. Oh, and while we're at it, Simon Stevens wants the Conservative Michael Gove’s free school policy applied to the NHS. The NHS must be really be in the sh1t if they are taking advice from a former president of American healthcare company UnitedHealth, the largest private health insurance company in the US. Stevens' previous experience seems to be coming useful in preparing the NHS for privatisation, and for the introduction of a US-style healthcare system. Times of austerity gives the Tories just the opportunity they need to implement allsorts of policies they otherwise wouldn't. Remember austerity in the 80's amid the recession? 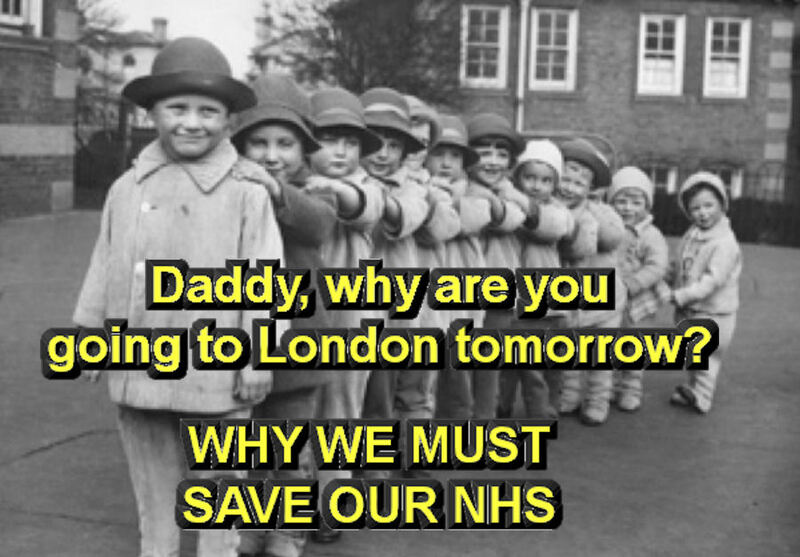 The Tories then began to propose privatisation as a potential panacea. Conservative MP Geoffrey Howe extolled the "discipline" of the marketplace in the NHS via commissioning. The emerging doctrine was that privatisation would make the large utilities more efficient and productive, and thus make British capitalism competitive relative to its continental rivals. In this period, the government sold off Jaguar, British Telecom, the remainder of Cable & Wireless and British Aerospace, Britoil and British Gas. The focus had shifted to privatising core utilities. But now, after being elected in 2015, they're back, they're bad, and this time they're after privatising our NHS. And it seems they have the support of Labour peers and former Labour councillors to nudge everything along! 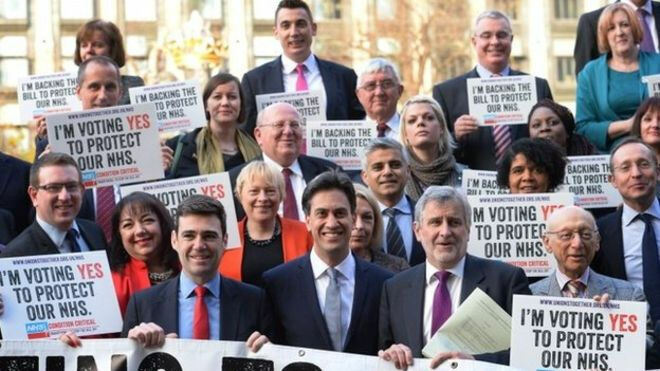 They all more or less seem to support the same disastrous policies for dismantling our NHS. Well, considering the UK electorate generally votes Tory or Labour 'cos their dad did' it seems we need to make a decision on which laughable party would better protect the NHS at the next election. I don't trust any of the mainstream parties, but there are rumblings in the Labour movement that a bloke with the initials JC would uphold his promises when elected to government, to reverse the damages done to the NHS since the Blair years. Yet time is of the essence, and the next election is a long way off. Not heartwarming considering the tories are currently steaming ahead with plans to make full use of the previous coalitions H&SC Act and fully open up the market to privateers and implement Simon Steven's 'five year forward view'. Between now and the next election in 2020 the only hope we have of saving our NHS is for the people to come up with their own ideas, their own 'plans' to prevent the private sector onslaught. What's Stevens doing running our NHS?